It's been 60 years since Ernest Hemingway won the Nobel Prize in literature for "The Old Man and the Sea," a story centered on a Cuban fisherman's sense of kinship with a giant blue marlin. But more recently, the ocean has become a dramatically different place. 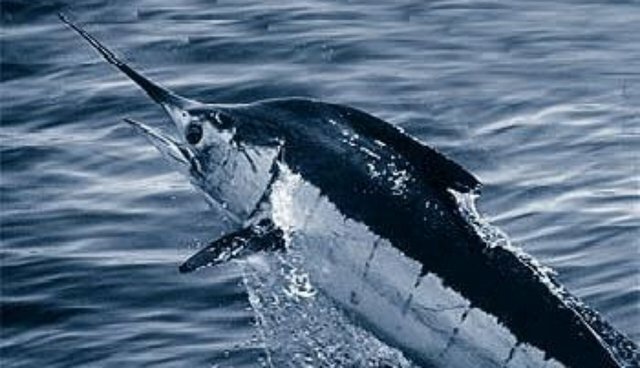 After decades of overfishing, the population of marlins and other billfish species has dropped to less than 10 percent of their 1950s levels. Marine scientists warn that further declines would likely have disastrous global consequences, yet political relations continue to stand in the way of better understanding how to stop it. This week, Hemingway's grandsons John and Patrick have joined a delegation of U.S. marine scientists on a trip to Cuba to spotlight the need for ocean conservation and to urge biologists there to become more involved in dealing with the issue. Despite their shared interest in preserving the aquatic ecosystem that separates Cuba and the U.S., cooperation between the two nations has been virtually nonexistent since the 1960s. "This we feel very strongly about because it ties in with my grandfather and his love for fishing and his love for Cuba," John Hemingway told the Associated Press at port in Cojimar. "We think it's vitally important that both countries work on this together. Both of them use this water." Of particular interest to the U.S. delegation are a set of fishing logs which Ernest Hemingway kept while he lived and fished in Cuba between 1939 and 1960. Scientists say the aging documents, controlled by Cuba's National Cultural Heritage Council, could contain important clues that may help scientists today. "Hemingway was there in Cuba for 20 years. If he did keep log books for that long, having 20 years – even if it is only for a single vessel – would be very valuable," U.S. fisheries scientist Dr. David Die told Reuters. "It would be a record of relative changes in the size and the abundance of fish over a period where we do not have any other records." While it's true that Ernest Hemingway was an avid sport fishermen, with marlin being among his favorite catches, the rise of industrial scale fishing in the decades after his death is largely to blame for today's depleted stocks.